Illinois’ corn growers have diverse stakeholders who influence government policies and rules that directly affect growers. To speak directly to those stakeholders the Illinois Corn Marketing Board engaged Kineo to develop an integrated campaign to communicate the value that corn growers broadly provide the state. Farming is a “top-five” industry in Illinois and helps to drive other industries such as grain trading, shipping and alternative fuels. 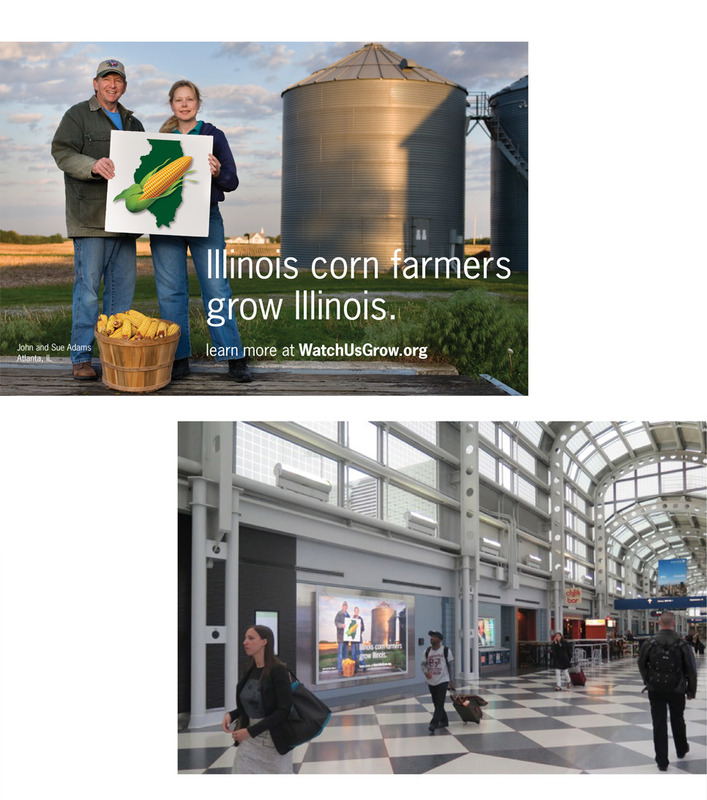 Kineo developed the “Illinois corn farmers….” Campaign and secured media purchases in different media. The cornerstone of the campaign was its display throughout O’Hare airport across all major terminals. Through strategic media buying, Kineo was able to secure high value dates at peak annual travel times. Millions of travelers, including federal and state legislators and government officials, were exposed to the campaign. The campaign showed up in social media in environs as far away as Rome. And the two growers pictured are still receiving emails about their new-found celebrity.